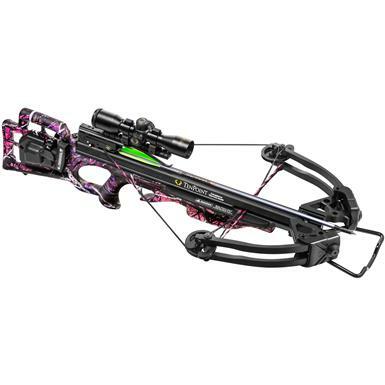 TenPoint® Lady ShadowTM Crossbow Package with ACUdraw 50 carries light with full performance! The female counterpart to TenPoint's lightest crossbow ever. 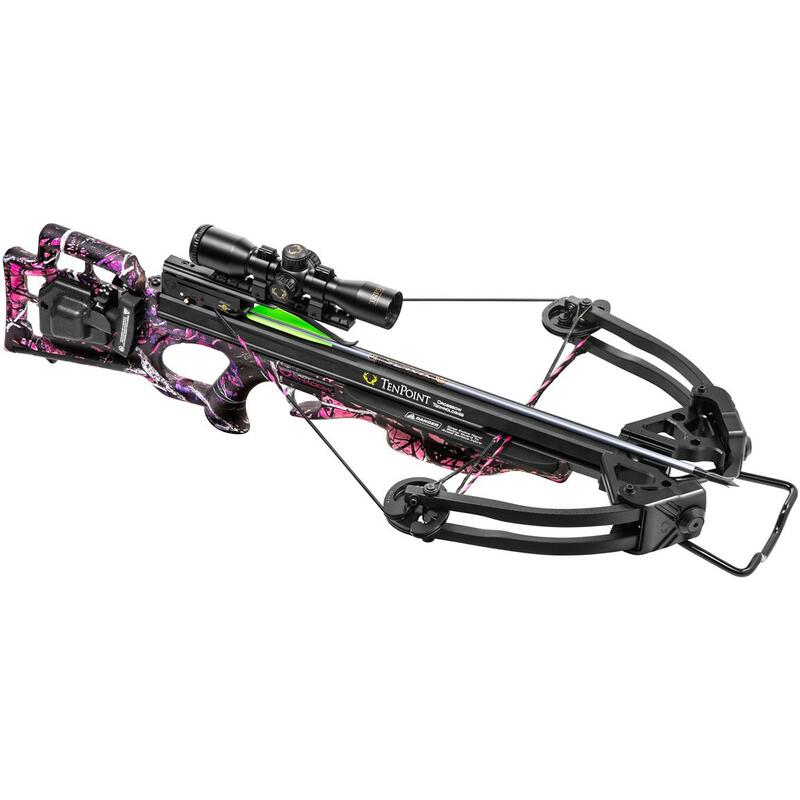 The Lady Shadow is fueled by a compact XLT assembly and hot pink string and cables that slings arrows at up to 350 FPS for serious hunting performance. Finished in Muddy Girl® Camo and boxed with everything you need, the TenPoint Lady Shadow Crossbow is one that any female hunter should be proud to carry into the woods. Hot pink string and cables.